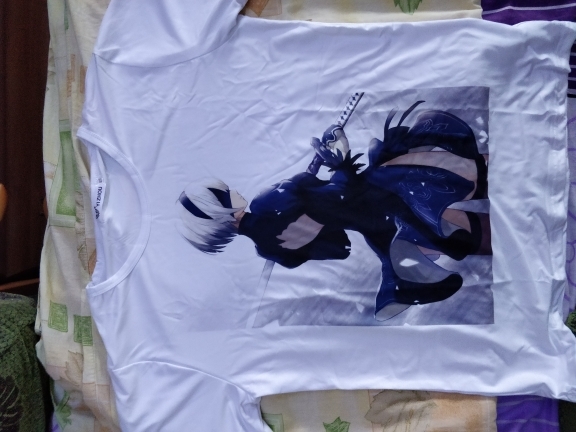 NieR Automata YoRHa No.2 Type B and YoRHa No.9 Type S t-shirts. Available in 24 models and 6 sizes. Please allow 1-3 cm difference due to manual measurements. 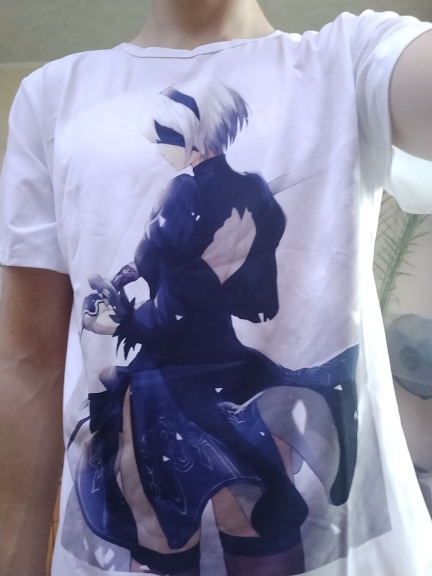 Not really fast shipment but I love the shirt nonetheless. So I recommend it! Отлично подошла футболка. Рисунок более бледный чем на картинке. 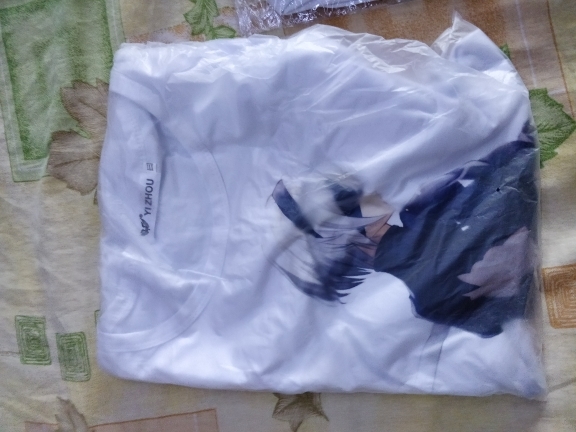 Is Quite small so buy one size larger, so XL if you are usually a L and you should be fine. Synthetic not cotton. Доставка – 10/10 Принт – 10/10 Качество ткани – 10/10 Размер подошел идеально. Очень приятная,красивая и качественная футболка. Замечаний нет. Рекомендую. Размер подошел идеально. 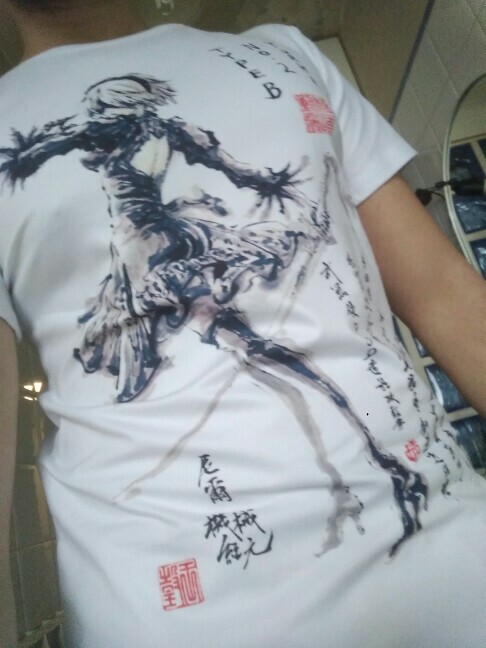 Very nice shirt!! 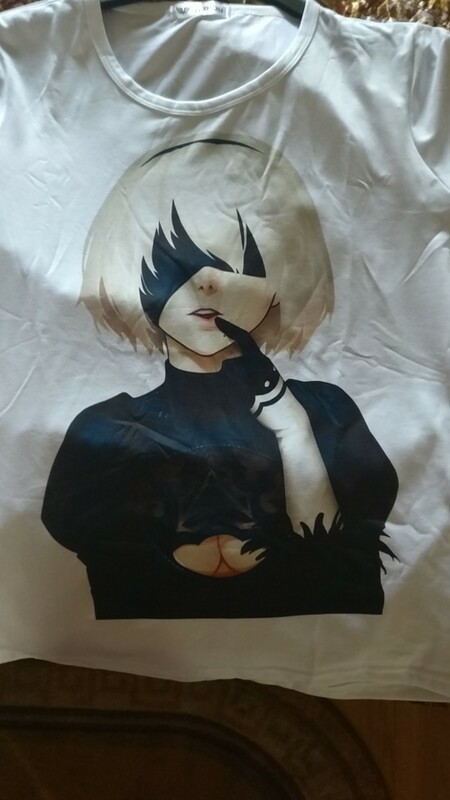 Exactly like the picture, however, the image of 2B doesn’t go to the end of the shirt. It’s like printing midway, so there’s a white line under her. 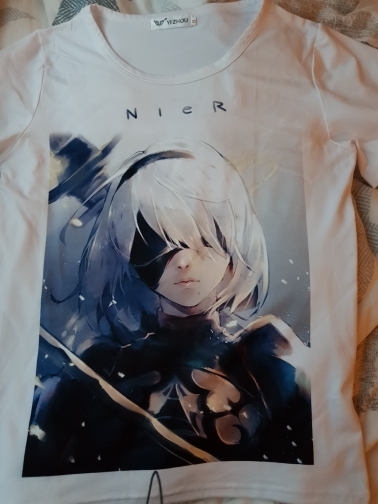 It’s no bother though, overall a very beautiful garment.